Highlander pumps up at the gym then powers up with a unique chocolate milkshake. His favorite, frothy post-workout drink is flavored with cocoa powder and packed with protein and potassium (peanut butter and banana à la Elvis!) as supplements to strength training. 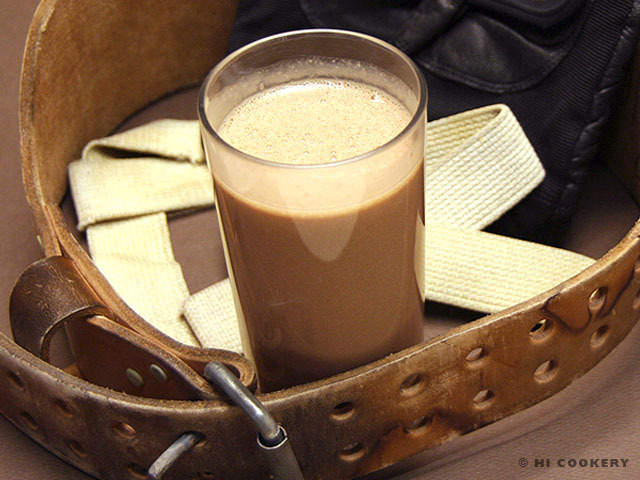 Make a milkshake for your muscles and try a recipe for chocolate milkshake power drink on National Chocolate Milkshake Day! In a blender, pour cold milk. 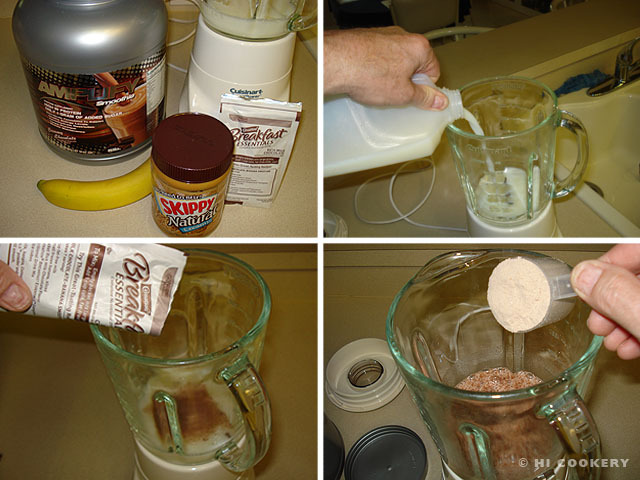 Add the Carnation Instant Breakfast chocolate mix and chocolate protein powder. 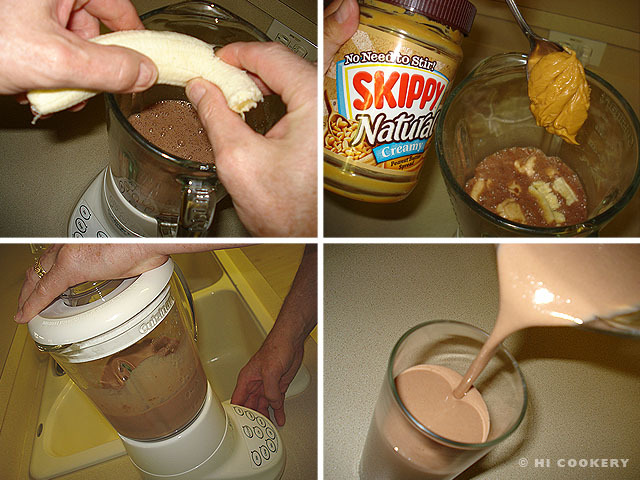 Break the banana into small pieces and place in the blender. Add the peanut butter. Blend until smooth. Pour into a tall glass. Drink immediately. The props in the final food photo above include a body building belt, weight lifting gloves and fitness straps. Power up with more protein! See our blog recipe posts for Strawberries and Cream Protein Shake for National Strawberries and Cream Day on May 21 and Grape Protein Popsicles on National Grape Popsicle Day on May 27.